If you are planning to build a wall then you need to consider the space where you are building the wall and how much money you willing to spend on it. You also need to consider whether you need it for a long period of time, or if it is just a temporary construction that you are looking for. Durable retaining walls have many practical uses besides being beautiful. By adding value to your business or home, these walls are usually constructed with high quality materials. 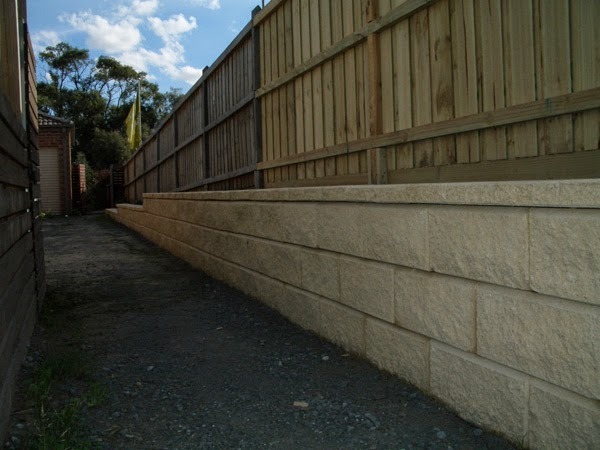 The retaining walls besides adding value to your home are long lasting, durable, reasonable, and come in a wide range of choices. These walls can be very functional if you ensure that the construction takes place in a proper way. As these walls are constructed with sturdy material, it can withstand a lot of weight and also hold back water or other things without any care or maintenance. Structural slope retention of almost70 degrees can be provided by these walls. They can be used for creating vertical gardens which are eye-catching, besides being space-saving. They are definitely environmental-friendly. Any improvements or renovations in the house add value to your home, and a retaining wall is no exception. If you make a wall of natural materials make it convenient if you plan to change it in the future. This is definitely affordable and easy. It increases the value of your house. These retaining walls do not need any maintenance. These walls can withstand weather conditions which are harsh, rarely requiring any repair work because it is made of natural material. Another important factor that you need to consider is that the walls made of natural material are basically local and so are equipped to handle the weather conditions. Not having to replace or repair the wall, it works out as an investment that is totally worthwhile. You have a choice of a number of types of rocks or stones to build your wall, and you can have the desired look by choosing and appropriate construction style. You can opt for a traditional stone and mortar wall, or a dry stack wall (where you can move the stones when required), or the gabion wall (stone filled mesh). You can choose to build your wall from products that are eco-friendly but hardy at the same time. These work out economical besides being safe for the planet. These walls can be ecologically friendly if you make a choice of building them with natural materials. These tend to use almost 50% less concrete and there is less disruption to the vegetation around the area. They can also reduce storm-water runoff. Walls made of sustainable products work equally long lasting and durable and perfectly fit in with the surrounding. They can surely add to the beauty of your surroundings, by having minimal impact on the environment. Interlocking block of concrete which are available in different sizes, shapes, colors and textures and are highly affordable. Natural stones which are on a little expensive side but is a good investment in the long run as they do not need any maintenance and are long lasting. Cinder block which work out more reasonable and can be painted or surfaced in stucco to give it the desired look. There are number of options in the market besides the above mentioned things. When you do good amount of research you will surely find best one to build the retaining wall that you desire.